As Bahrain, Saudi Arabia, and the United Arab Emirates sever diplomatic relations with Qatar, the nations have also closed their airspace to its neighbour. 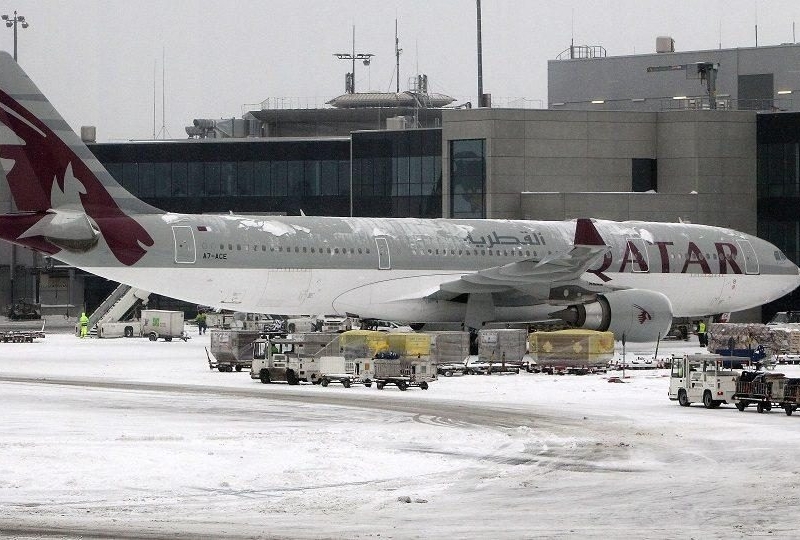 Unfortunately for Qatar Airways, the lack of access to Bahrainian, Emirati, and Saudi airspace could have a devastating effect on its operations. “Losing Saudi, Bahrain and UAE airspace would effectively ground Qatar Airways,” CAPA — Center for Aviation wrote in a report. 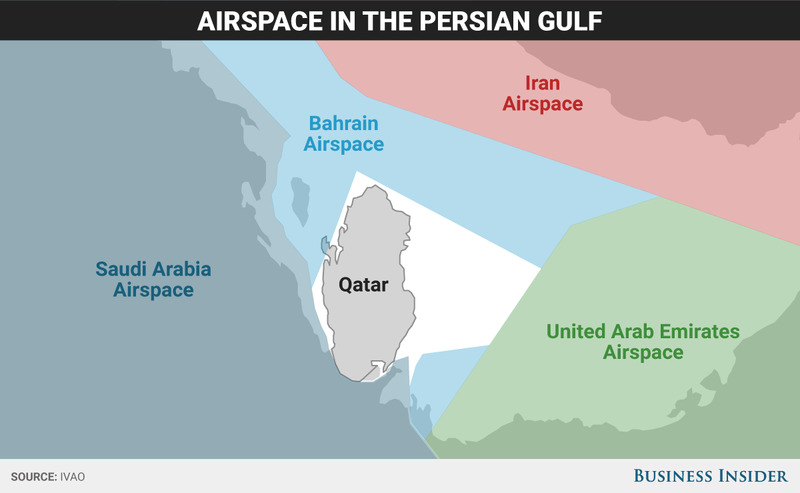 That’s because Qatar actually has very little airspace relative to the size of the country. “It is largely surrounded by Bahrain airspace (the Bahrain FIR), a slither on the south is managed by Saudi Arabia while the UAE is on the eastern border,” CAPA stated. While losing access to Saudi airspace will force Qatar Airways into the costly manoeuvre of rerouting its Africa-bound flights, losing access to Bahrainian airspace could be catastrophic because it almost completely encircles Qatar. That means, should the ban hold up, Qatar Airways flights will need to fly through airspace that it is currently banned from in order to reach its home base in Doha. Qatar Airways did not immediately respond to a request for comment on how they plan to overcome this challenge. While the countries are free to refuse landing rights, it is unclear if Bahrain and the UAE can legally ban Qatar Airways from its airspace. As signatories to the International Air Services Transit Agreement, Bahrain the UAE can’t legally shut off its airspace to fellow signatory Qatar. Saudi Arabia, however, is not an IASTA member country and can legally shut Qatar Airways out of its airspace. According to Flightradar24, Bahrain sent notified pilots that it will limit flights to and from Qatar by Qatari aircraft through its airspace to a single air route. This means, even if Qatar Airways isn’t grounded, it will be subject to heavy air traffic congestion. Over the past two decades, Qatar Airways has grown to become one of the most influential international airlines in the world. In 2015, consumer aviation website Skytrax named it the best airline in the world.